← Do You Need a Roadside Assistance Membership? We always hear about the driving safety tips for winter, or rain, but we don’t really talk about the hazards that can come with driving during the summer. Believe it or statistics show that driving during the summer can actually be a more dangerous time to be on the road, in fact the highest number of fatal accidents occur in August. Summer can be the prettiest time to drive, but you also have to remember not to throw caution to the wind. Not only is there more drivers on the road, but there’s more construction as well. There are nearly 700 fatalities every year in construction zones so stay alert, heed warning signs and SLOW DOWN. People like to take advantage of warm weather, dusting their bikes off and getting out on the open road. You need to be cautious sharing the road with them, and being sure to give cyclist and bikers plenty of space and room when driving. 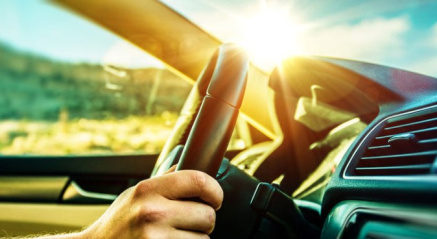 We all love summer road trips, but with congested roads, traffic jams, people from out of town unfamiliar with roads driving too slow, or stopping suddenly, erratic drivers, road ragers, and sleepy drivers, it can definitely be more dangerous than you think. You have to not only keep your eyes on the road, but your mind too. You also have to be cautious about heavy traffic times and sun light. Usually the rush hour traffic is right at sun down and can cause your vision to be impaired.